Apple's current generation of iPhones has moved the product line towards edge-to-edge displays and the use of Face ID instead of Touch ID for security. While the iPhone XS, XS Max, and XR are thought to be the high-end of the Apple product range for iPhones, it is thought that there needs to be a mid-tier model. Named specs by the report are the "A13" processor expected in the 2019 flagship releases, 128GB of storage, and as single-lens camera. In regards to the processor, Apple took a similar approach with the iPhone SE, using the same A9 processor as the iPhone 6s that was released six months prior. Apple used the iPhone SE as a budget-friendly offering for emerging markets, and still manufactures it in India. According to the Economic Daily, Apple will produce a "new iPhone 8," a retread of the smartphone with a 4.7-inch display and lacking elements like Face ID and the TrueDepth camera array. Though a potentially attractive proposition, there is apparently some talk from analysts that it may not be the best idea. Pointing out the use of high-, mid-, and low-tier devices sold by HTC and Samsung, the unnamed analysts cited in the report suggest the strategy is a failure. 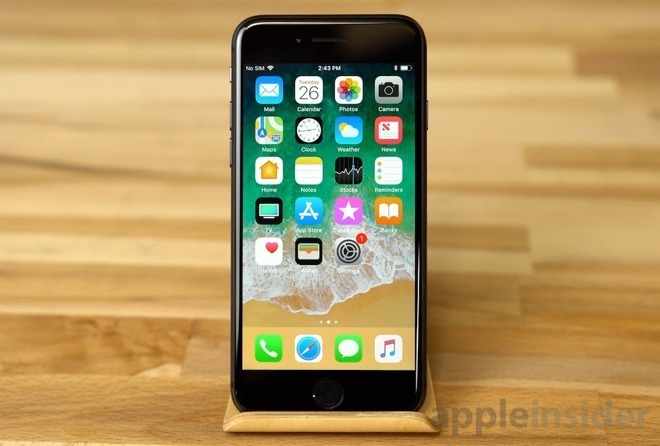 While high-end and low-end devices dominate sales, like selling the iPhone SE and the iPhone XS, mid-tier devices are apparently failing to perform, a category an updated iPhone 8 would certainly fit within. It is suggested the strategy of "old bottle, new wine" isn't innovative enough for the company. Introducing a mid-tier device may canibalize Apple's upper-end model sales, analysts propose, which may not help Apple's overall performance.